SSteamboat, located in northwest Colorado, 160 miles/267kms northwest of Denver, is an easy three-hour drive from Denver. Take I-70 west through the Eisenhower Tunnel to the Silverthorne exit (#205), then go north on Colorado Highway 9 to the town of Kremmling, then west on US 40 over Rabbit Ears Pass. 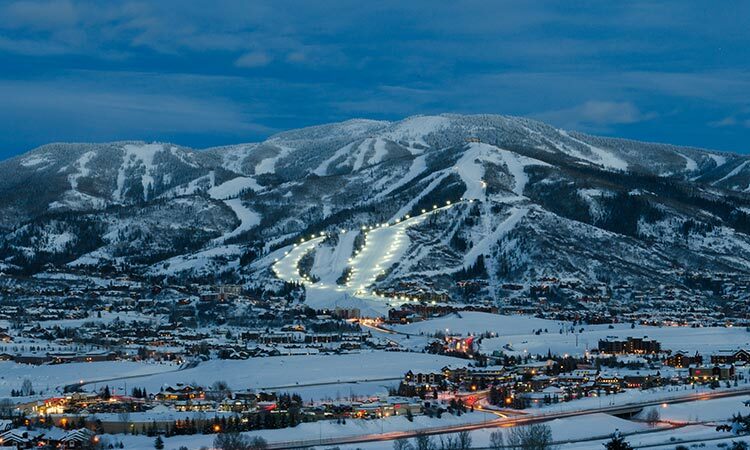 Steamboat is accessible by nonstop air service from seven major U.S. airports on American, Continental, Delta, Frontier and United Airlines in addition to connecting service from over 230 other domestic and international cities. Mavericks Superpipe is a freerider's dream. Mavericks is 450 feet long, 56-feet wide and has 18-foot walls, and a 22-foot transition. Steamboat's terrain park adjacent to Mavericks features an outdoor sound system, a variety of rails-kinked, sliders, rainbows, "s" mailboxes, double barrel, and Mini-Mav, a miniature version of the superpipe with eight-foot walls, perfect for novice riders.